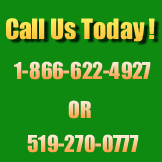 Cluster Flies: EnviroTech Pest Control Services King City has the answer on How to get rid of Cluster flies in Ontario Safely.We are your choice for local pest control & cluster fly service. A video by EnviroTech explaining how to exterminate Cluster Flies from your property. A video by EnviroTech explaining how to exterminate Cluster Flies from the interior of your home. 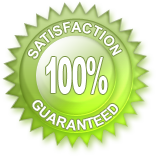 We use only the safest environmental pest control products available! Cluster Flies - The adult cluster fly may be mistaken for the housefly at first – but may vary in size, some larger and some smaller. They’re noisy and awkward. They fly into lights and windows, often colliding with objects (such as lamps) -- at times falling to the floor spinning on their backs buzzing loudly, until exhausted. This fly has a nonmetallic, dark gray color. The thorax has golden hairs and stripes. It is also typical of the fly to occasionally overlap its wings when landing. The adults lay eggs in the summer on the soil of lawns, fields and gardens and completes the life cycle of up to four adult generations each year. The larvae of the cluster fly is an earthworm parasite, thus the cluster fly is found wherever the earthworm is found. Cluster flies are one of the most common pests to invade rural homes and estates. These pests live in treed and grassy areas in the summer and seek shelter in your home for the fall, winter and spring. They will usually get into your home very quietly, crawling through tiny openings in fascia, soffits, windows, doorways and roof vents. Several hundred, even thousands of flies may seek shelter in your home, especially in the attic and windows exposed to the warmth of the sun. They often “cluster” together. This is how the name “cluster fly” came to be known. The first warm days of spring cause cluster flies to reappear. This nuisance pest will stain walls, carpets and furniture and create discomfort in your home. The accumulation of dead flies in the walls and on the floor attract dermestid beetles (Larder Beetles) and small rodents which feed on their carcasses. Our “Home Care Program (HCP)” is highly successful and will eliminate and control your cluster fly problems. The HCP Program will also control invaders such as Pine seed and boxelder bugs. Spring application is different from the fall application. Immediate results are achieved in the spring program for insects such as cluster flies, wasps, lady beetles, and some other over wintering inspects. The spring application and the products we use control all insects but in the spring it also significantly reduces the potential for wasp and spider problems. Timing is critical for the spring application. Timing will prevent a lot of insects from establishing nesting in harbourage areas. The spring application has many benefits to make outdoor activities more enjoyable. In the fall, there are many insects trying to enter your home to over winter. Some of these include cluster flies, lady beetles, pine seed bugs and more. Our chrysanthemum based product has a 60-90 day residual that will continually work from August to freeze up, therefore eliminating your pest problems. Control is not immediate. A very large percentage of insects will be controlled at a time of application. The remaining activity will be controlled for the entire fall season until approximately 90-100% elimination. 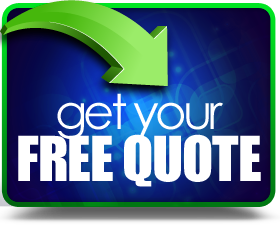 Fill out our 'No Obligation' form to receive a free quote on our Guaranteed Pest Control Services!